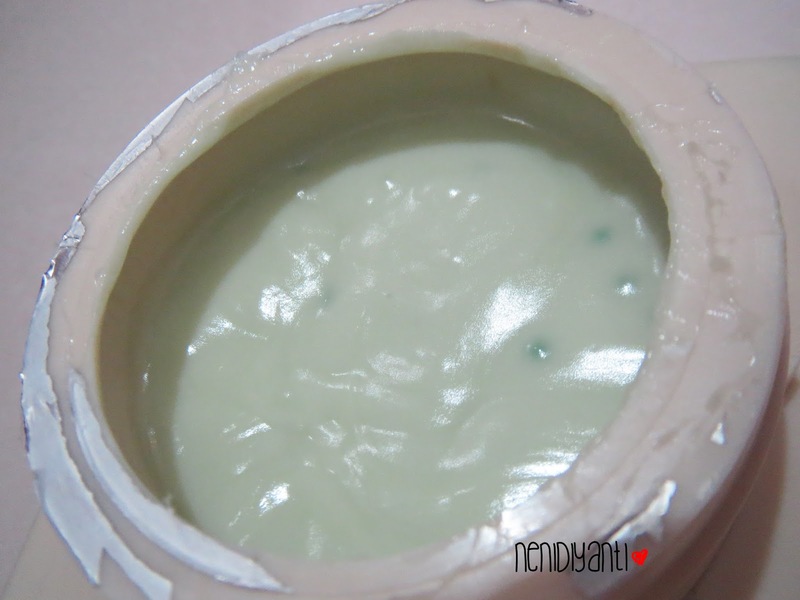 I was so into "holiday mood" so I'm kinda forget about my blog. 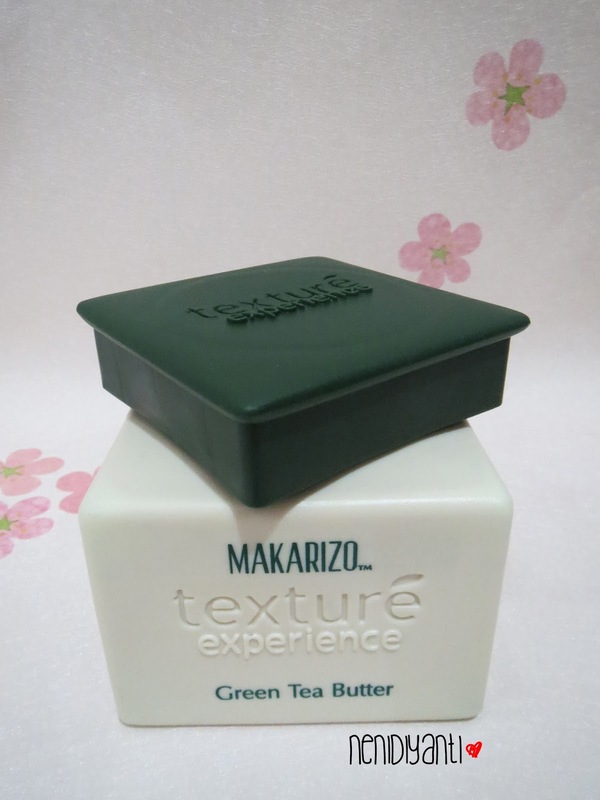 The packaging looks like a salon professional's item. Indeed, because this one is categorized in MAKARIZO professional line. 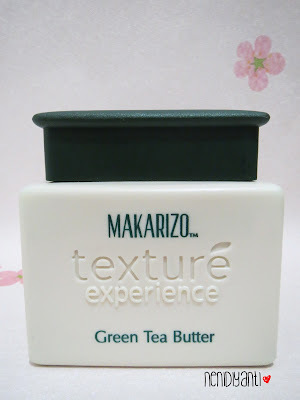 Moreover, MAKARIZO also have customer line, such Hair Repair & Hair Recovery and T1. 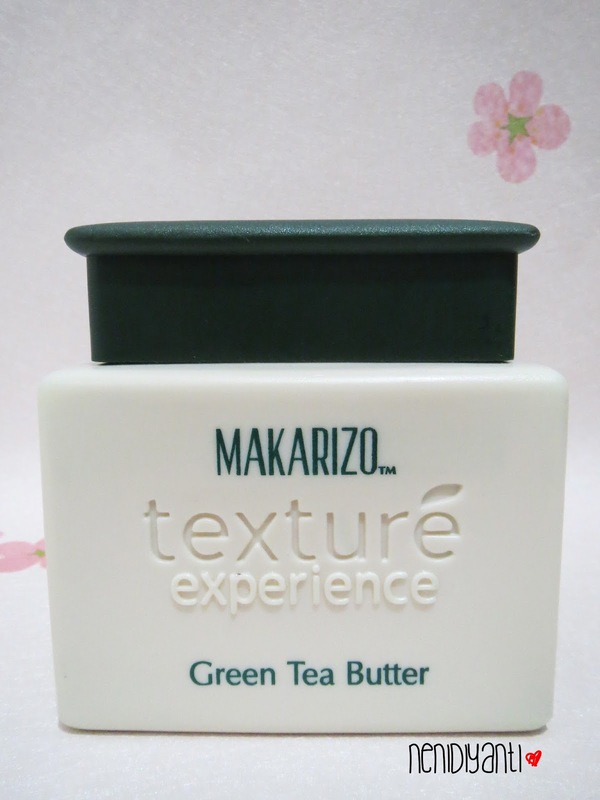 MAKARIZO Hair Texture Experience Green Tea Butter contains antioxidant to maintain hair vitality and natural hair luster. 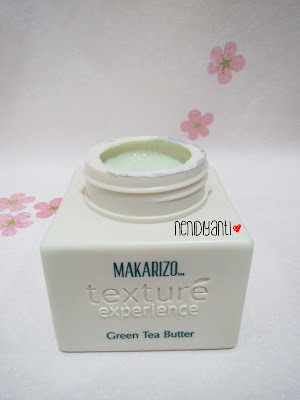 The unique green tea fragrance also give calming and relax effect. The fragrance isn't too strong, it's just perfect. 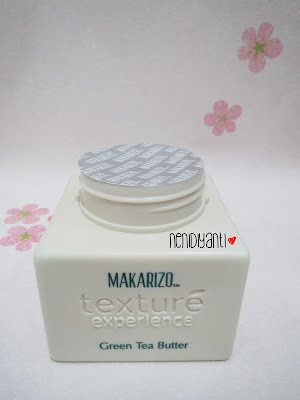 Use this product with proper hair massage technique (read it here), so you can get the feeling of total relax and refresh. 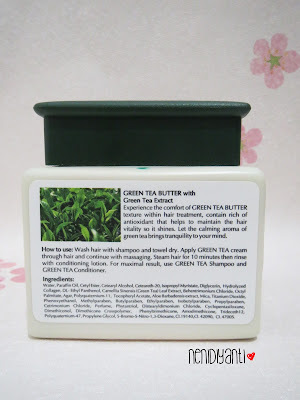 You can read the instruction how to use and ingredients in the photo above. The text is also written in Bahasa (as you can see in the previous photo above). This is how to open the cover. All you need is just rotate the cover until it opened. Somehow I feel it's a bit hard to open the cover. The cover is dragging so I need a little more power to open it. 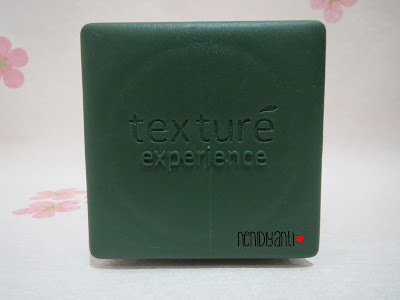 This is how it looks after I unseal the product. As you can see, the hole is quite small. The cream is also in soft green color. 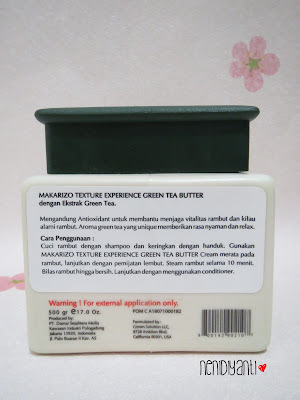 But in fact, it doesn't look green on my hair while applying. 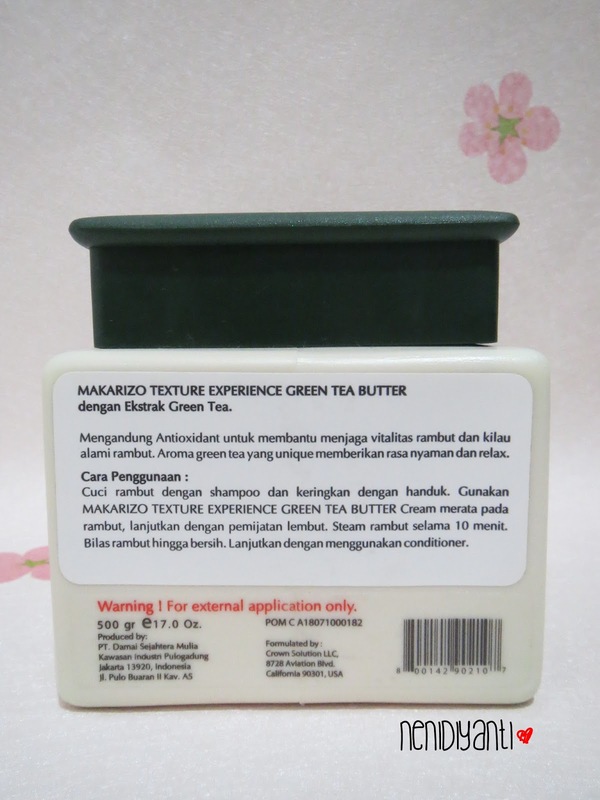 After using this product for four times, I don't feel something really different with my hair. But, right after I use this product and dry my hair, I feel that my hair becomes softer and smells so good. 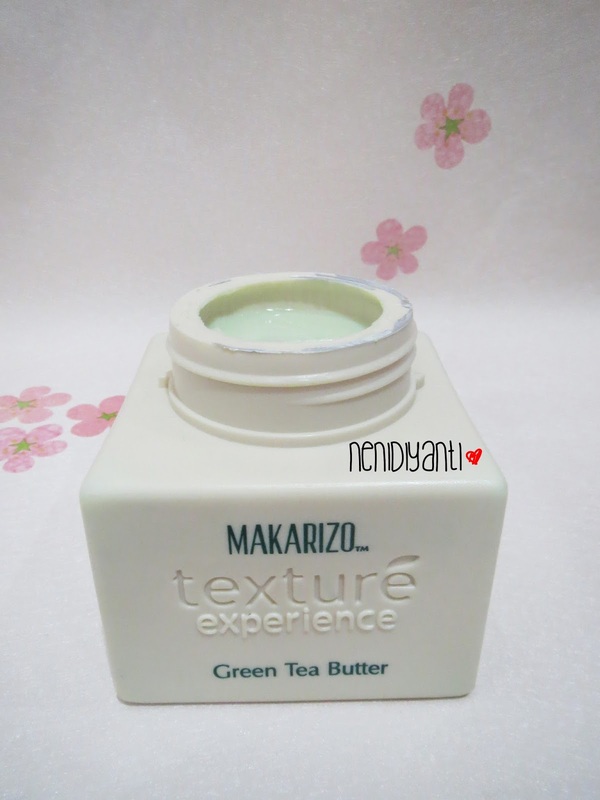 The green tea fragrance doesn't last for such a long time. The fragrance stays for about a day on my hair.